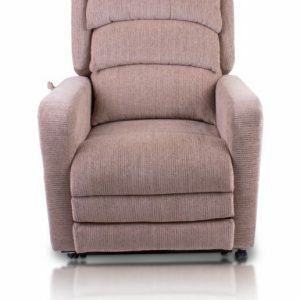 The Borras has become a hallmark of our Rise & Recliner range, the chair is suited to a wide range of users of all shapes and sizes, thanks to it’s range of motor types and bespoke sizing options. 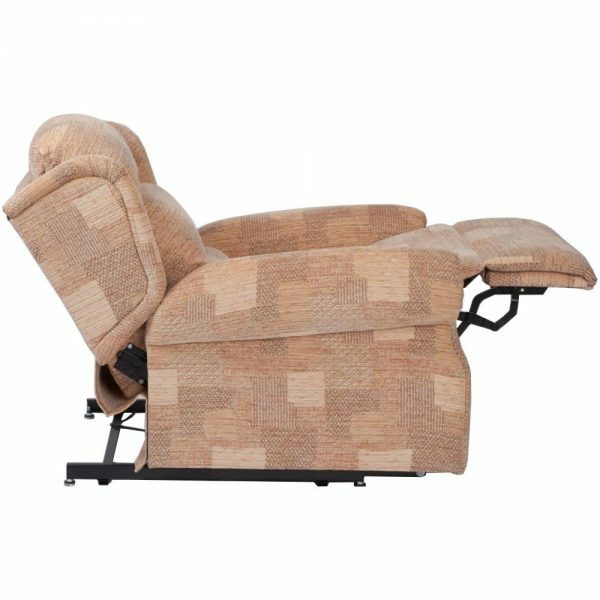 The chair is fitted with stylish scroll arms and full chaise footrest, both complemented with a three tier waterfall back. 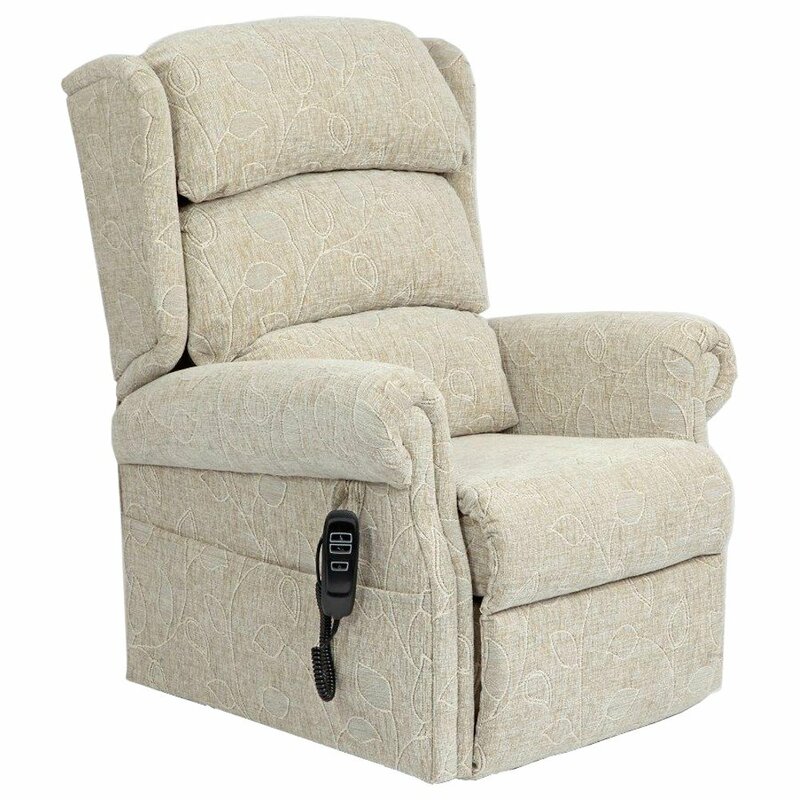 Each luxurious fibre filled cushion is adjustable vertically to give suit your individual comfort. The Borras is available to be built bespoke, to fit just about any user. 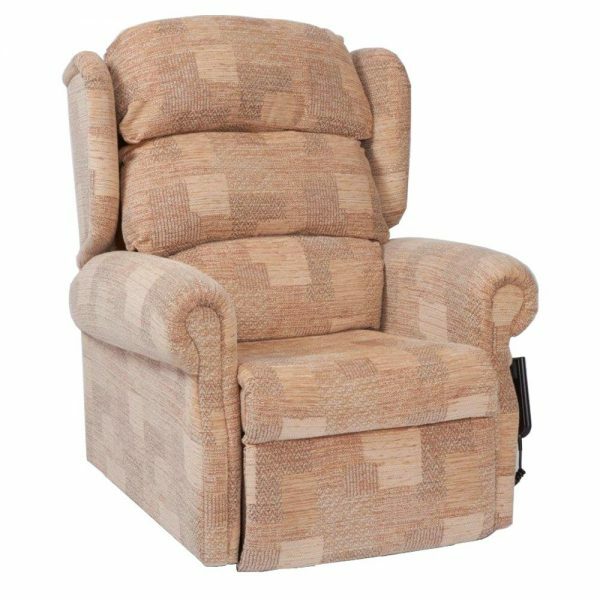 We are able to build the Borras to accomodate a huge variety of needs, including weight limits of up to 70 Stone. Due to the nature of these bespoke products, we are unable to provide a price online, as they vary on a case by case basis. 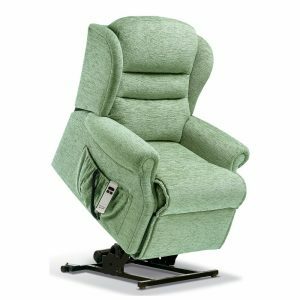 If you would like to enquire about a bespoke Borras rise and recliner, please contact us. The Borras has numerous extras available, for an additional charge, some of the most popular are listed below. Please note some extras may not be available with certain sizes of chair. 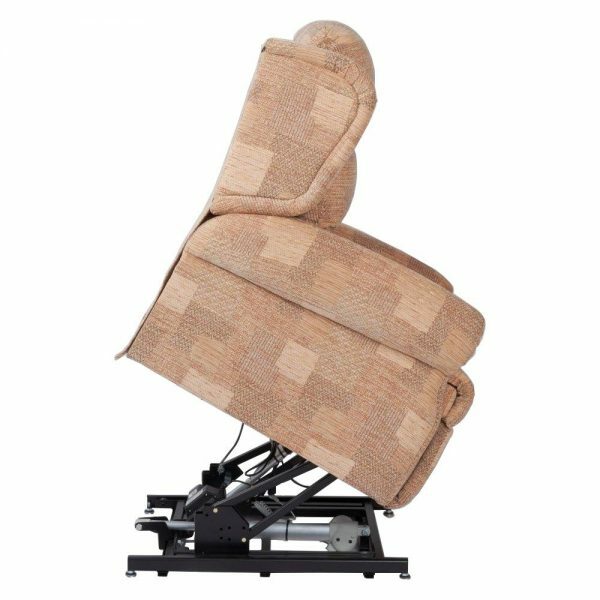 An alteration to the frame of the chair, allowing the angle of rise to be altered to suit particular user needs. 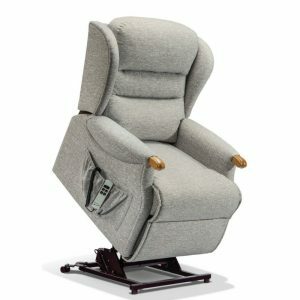 A small piece of fabric (matching your upholstery choice) cut, shaped and stitched to cover the head rest area of the chair to protect the fabric. Two small pieces of fabric (matching your upholstery choice) cut, shaped and stitched to cover the arms of the chair to protect the fabric. The Borras comes with a waterfall back. 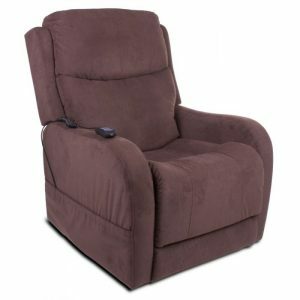 It has been designed to offer the utmost comfort to most users. The layered back cushions support the users back by conforming to their spine. The cushions on the Borras can also be adjusted, both vertically and in-terms of filling, to suit the user. The Borras is available in a huge selection of fabrics, with an array of colours, patterns and textures are available to view in-store. The Borras can also be supplied in a choice of leathers, as well as more specialised fabrics too, though additional costs will apply.